Customer data protection and privacy is a serious matter at Infoblox, and Infoblox is committed to supporting its customers as they address the requirements of GDPR. 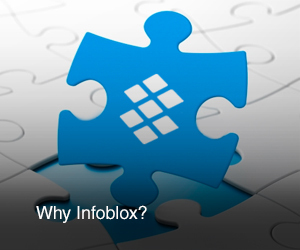 Read below for information on how Infoblox and its products and support services align with the regulation. Get answers to your questions on how Infoblox and its products and support services align with GDPR. Read our 4-part Blog Series Practical Advice to Network and Security Professionals Regarding GDPR. You can manage your personal information such as data access and data deletion requests by logging into your account for Infoblox sites and solutions or contacting privacy@infoblox.com. You can manage your email subscriptions at http://info.infoblox.com/manage-profile.html. Assess security incidents and investigate/automate threat responses.